Twenty-six-year-old Cat Kinsella overcame a troubled childhood to become a detective constable with the Metropolitan Police Force, but she’s never been able to banish the ghosts of her past or reconcile with her estranged father. Work provides a refuge from her family dysfunction, but she relies on her sharp sense of humor to hide her vulnerability from her colleagues. When she’s called to the scene of a murder in Islington, not far from the pub her father still runs, she discovers that Alice Lapaine, a young housewife has been found strangled. Cat and her fellow detectives immediately suspect the women’s husband, until she receives a mysterious phone call that links the victim to Maryanne Doyle, a teenage girl who went missing in Ireland 18 years earlier. This information is painful for Cat and although she was only a child when her family met Maryanne on a family vacation, she intuitively knows that her father wasn’t telling the truth when he denied knowing anything about the girl’s disappearance. Sweet Little Lies is a mesmerizing psychological murder mystery. An extraordinary debut novel that effectively takes a deep look at how we often struggle to cope with the realities of our darker past. The debut novel by Caz Frear, Sweet Little Lies features an assortment of unforgettable characters and a plotline that is gripping, thought-provoking and genuine. The author grew up in Coventry, England, and spent her teenage years dreaming of moving to London and writing a novel. After fulfilling her first dream, it wasn’t until she moved back to Coventry 13 years later that the writing dream finally came true. 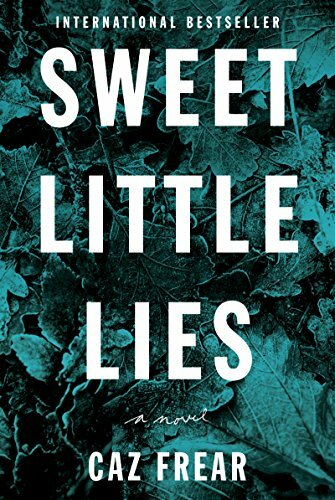 This is the American debut of Sweet Little Lies, which was previously published in the UK in June 2017. It is told in the first-person present tense and the reader will quickly be immersed in Cat’s suspicions and misperceptions as the murder investigation digs deeper and deeper into the victim’s background. Overall, Frear delivers a captivating story that is filled with multiple layers of complexities that unveils nicely into satisfying and surprising realities. It features an outstanding blend of police procedural and thrilling murder mystery that effortlessly combines interesting characters, exceptional writing and convincing storytelling into a novel that doesn’t disappoint.